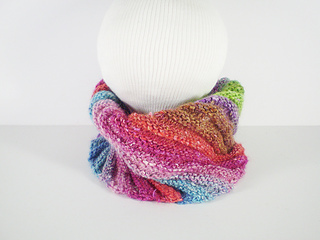 This is a hat with a double life; it can be worn as a snug cowl or you can gather the drawstrings threaded through the top edge to turn it into a hat. 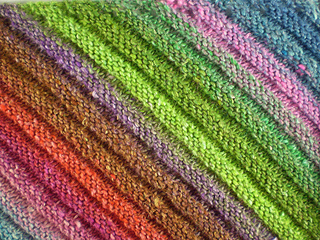 It is knitted sideways in a reverse stocking stitch rib which spirals round the hat and gives it extra stretch. 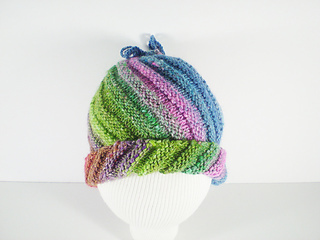 The hat fits an adult but tips on adapting the pattern for other sizes are included.